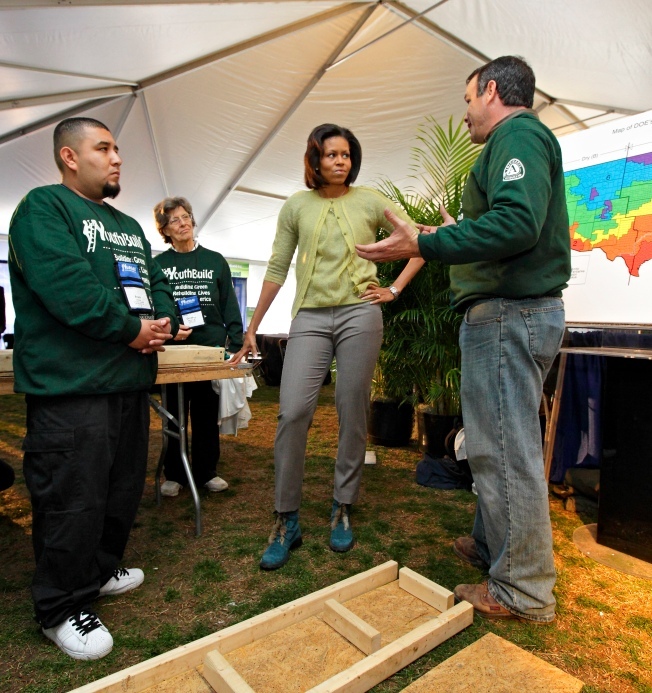 First lady Michelle Obama visits students with the YouthBuild AmeriCorps community service program earlier this year. WASHINGTON — Tens of thousands of Americans, from teenagers to baby boomers, soon will get a fresh chance to lend a helping hand in a time of need after Congress voted Tuesday to expand ways for people to serve the country and each other. The House voted 275-149 for a $5.7 billion bill that takes ambitious steps on public service, including tripling the number of positions in the Clinton-era AmeriCorps program, its largest expansion since the agency's creation in 1993, and establishing a fund to help nonprofit organizations recruit and manage more volunteers. Congress was sending the bill to President Barack Obama, who often cites his years as a Chicago community organizer for giving him his political start. Obama has made bolstering national service programs a high priority, and in his overall budget proposal has called for more than $1.1 billion for the programs, an increase of more than $210 million. With the nation plunging deeper into a recession, Obama and backers of the effort see it as a way to channel a rising desire among Americans to help their neighbors. "History has ... shown that in time of crisis, Americans turn to service and volunteering for healing, for rebuilding and for hope. The spirit of generosity in the American people is one of the greatest assets of our nation," Rep. George Miller, D-Calif., chairman of the House Education and Labor Committee, said during debate on the bill. Applications to AmeriCorps have exploded with the plunging employment market. Last month, there were 9,731 applications submitted to the AmeriCorps online system, more than triple the 3,159 submitted in February 2008. In the AmeriCorps program, 75,000 people spend 10 months to a year helping build affordable homes or responding to disasters. Most receive an annual stipend of slightly less than $12,000. Last year, more than 500 AmeriCorps members helped coordinate more than 200,000 Habitat for Humanity volunteers to build 1,700 new homes. Some AmeriCorps participants also helped families get ready for homeownership. The bill provides for gradually increasing the size of AmeriCorps to 250,000 enrollees over eight years. "People are feeling their own pain, but they're also feeling their neighbors' pain," said Alan Solomont, board chairman of the government-run Corporation for National and Community Service, which oversees AmeriCorps and will be in charge of overseeing new programs for middle and high school students and people 55 and over. The legislation outlines five broad categories where people can direct their service: helping the poor, improving education, encouraging energy efficiency, strengthening access to health care and assisting veterans. People working in these new corps would provide such services as weatherizing homes or teaching computer skills to seniors or the unemployed. The measure also encourages people to observe Sept. 11 as a national day of service and remembrance. Mark Andrews, senior director for U.S. operations for Habitat for Humanity International, said the bill was "absolutely necessary" because it will provide the organization with more participants who have specialized skills in construction or family services. These AmeriCorps members are then able to train more volunteers. "National service gives us the opportunity to bring in some of the best and the brightest, in terms of young people right out of school, as well as folks who have completed their career and want to give back to their communities in a more significant way," Andrews said. People 55 and older could also earn $1,000 education awards by getting involved in public service. Those awards can be transferred to a child, grandchild or even someone they mentored. Tom Nelson, AARP's chief operating officer, said the bill gives more older Americans the chance to apply their years of experience to helping others. Nelson said his group is hearing from thousands of people who say, "How do I get involved, how do I help my community?" "That older volunteer can be the ideal volunteer," he said. The bill also ties volunteer work to money for college in other ways. Sixth graders through high school seniors could earn a $500 education award for helping in their neighborhoods during a new summer program. Education awards for AmeriCorps participants would increase from $4,725 to $5,350. That money can be used to help pay for college or help pay off student loans. 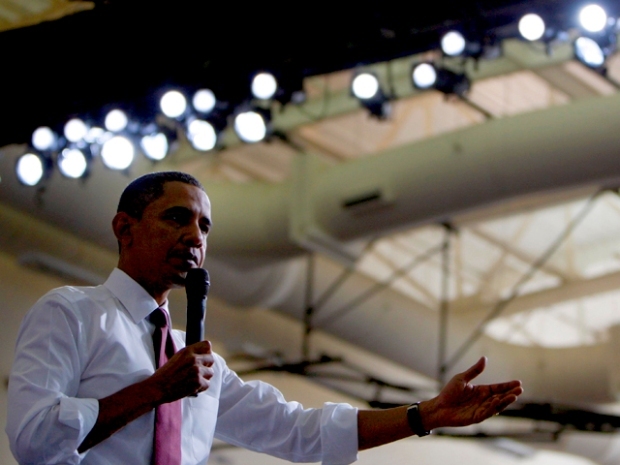 Future increases would be tied to increases in the maximum size of Pell grants. The bill is named for Sen. Edward M. Kennedy, D-Mass., who with Sen. Orrin Hatch, R-Utah, has been its champion. Kennedy is being treated for brain cancer but returned to Washington last week to vote for the legislation.